Walt Disney World Resort is a place of fun and magic for people of all ages. 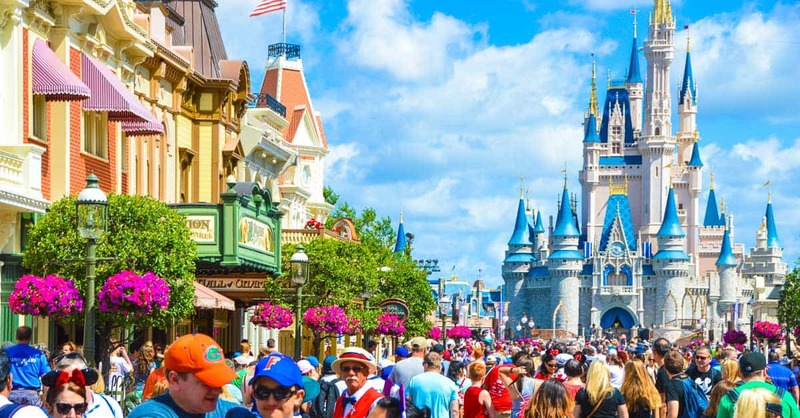 Whether a guest is very young or a much older adult who happens to be young at heart, a visit to Disney World is an all-age appropriate vacation destination that mutually caters to everyone. And it’s one that frequently brings families together and bridges the gaps across many generations. A perfect example is the versatile range of activities, attractions, and other diversions. These can be shared across the board between grandparents and grandchildren alike. Possibilities are limitless, especially when considering different ages and endurance levels of various sets of grandparents and grandchildren. We’ve devised this list of experiences we feel are universally relatable to for both generations to enjoy. 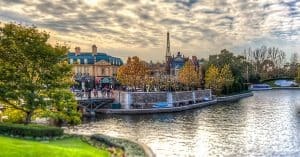 Disney magic isn’t exclusive to the parks, as vacationers making the decision to stay on Disney property can attest to. 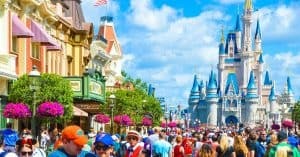 Even if you are a larger family group making the trip together Disney World Resort Hotel options offer plentiful possibilities, with different sizes, price ranges, and other distinctions sure to meet any of your family’s specific needs. Many extended families even find that they can all stay together in a comfortable homey suite. Various Walt Disney World Resorts, primarily Deluxe Villa Resorts, offer a wide range of multi-room accommodations that even include fully equipped kitchens or kitchenettes, washer/dryer, and plenty of other home away from home comforts and amenities. 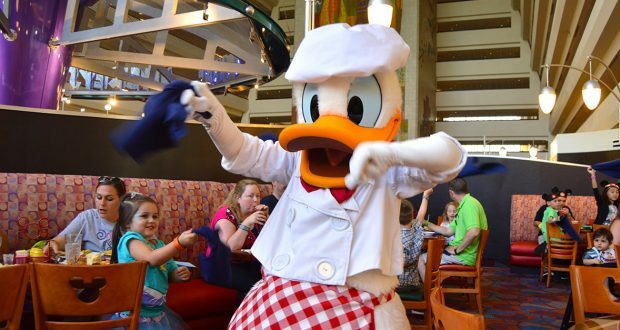 Even two of Disney’s Value Resorts, All-Star Music and Art of Animation, offer Family Suites. So not only do grandparents and grandchildren get to play together, but now they stay together throughout the entire vacation! By choosing to stay on-premises, the magic you experience in the parks carries over to your resort and remains constant throughout your vacation. Regardless of whichever Disney World Resort accommodation you select, all offer mutually stellar perks and onsite amenities, like swimming pools and other family-friendly fun activities. The various resorts also present Movies Under the Stars—a free showing of family-friendly films on a large, outdoor screen on select evenings. Many locations also offer up good old-fashioned campfires, where guests can gather around, roast marshmallows, and enjoy lots of fun. Additionally, at different times and at different resorts, cast members may lead special activities and games to join in. And don’t forget all the other onsite recreational extras to pursue, depending on your resort. From bike rentals, boat rentals, and other endeavors, grandparents and grandchildren definitely have plenty of options to choose from. 3. Be on the lookout! Sometimes it’s the little things and paying close attention to minute details that can turn into a fun folly for grandparents and grandchildren to enjoy together. Finding Hidden Mickeys, for example, can turn into an amusing quest. There are also a whole slew of hidden secrets and fun facts to observe throughout different lands within different parks. Strolling down the streets of the Magic Kingdom’s Main Street, U.S.A. or making your way through Tomorrowland, for instance, provide excellent opportunities for fine-tuning your abilities of observation, like spotting hidden name references, listening closely to subtle sounds, and so much more. Another great idea is pursuing one of several scavenger hunt adventures available within the different parks. At the Magic Kingdom, for example, a quest to stop Disney Villains by way Merlin’s magic can be yours when you take on the Sorcerers of the Magic Kingdom challenge. There’s also A Pirate’s Adventure ~ Treasures of the Seven Seas, in which you choose your interactive course for adventure and treasure hunting via way of map. Epcot’s Agent P’s World Showcase Adventure, an interactive clue-seeking game themed after the Disney Channel show Phineas and Ferb, has also been a popular pursuit for many years now. Then, don’t forget to head on over to Animal Kingdom for your chance to join the Wilderness Explorers with Russell and Dug from Disney·Pixar’sUpwhile earning badges, learning about nature, and taking part in some hands-on exciting activities. While many of these (and other) interactive Disney challenges are designed specifically for children, they are all family-friendly pursuits that can be enjoyed together by all members of your party, old and young alike. Another popular pursuit that’s expanded greatly over the years at Walt Disney World Resort is the art of pin trading. While themed Disney pins have been around all along, it was really during the Walt Disney World Millennium Celebration (circa 1999) that Disney Pin Trading really took off. And now the act of buying and trading pins is a well-loved endeavor that’s open to all ages. You can trade pins with fellow pin traders out and about or even with specific cast members, distinguishable by their proudly displayed pin lanyards. Please note, however, that cast member pin trading is limited to just two a day. So in conclusion, while these pins can serve as most memorable keepsakes from your Walt Disney World vacation, the fun times spent together that Disney Pin Trading can orchestrate for both grandparents and grandchildren alike is the most memorable experience to keep of all. Doing Disney without character interactions just isn’t done. With so many Meet and Greet locations throughout the different parks, not to mention the other character encounters you happen on along the way, you’re bound to meet Disney greats, old and new alike. And who can pass up the ultimate family photo that will have grandparents and grandchildren appearing alongside one of Disney’s very own celebrities? Meeting Mickey at Town Square Theater is perhaps one of the most highly recommended Character Meet and Greets to be had at Magic Kingdom Park, but there are many others as well, with designated Character Stops located all throughout Magic Kingdom Park, Epcot Park, Hollywood Studios, and Animal Kingdom. In keeping with the idea of meeting Disney’s most elite character celebrities, one sure way to get a little one-on-one time is to choose character dining. Many such opportunities exist within the different parks and even at various Walt Disney World Resorts. If you’re looking for Classic Disney Pals, some of the best options awaiting you include Chef Mickey’s at Disney’s Contemporary, Mickey’s Backyard BBQ at Disney’s Fort Wilderness, Minnie’s Seasonal Dining at Hollywood & Vine, Chip ‘n’ Dale’s Harvest Feast at Garden Grill, Minnie’s Beach Bash Breakfast at Cape May, the Good Morning Breakfast with Goofy and His Pals at Ravello, and Meeting Safari Donald and Pals at Tusker House. Additionally, there are plenty of other character dining experiences to take in as well, including but in no way limited to: Princess-themed dining at Cinderella’s Royal Table and Akershus Royal Banquet Hall, joining friends from the Hundred Acre Wood at Crystal Palace, and sharing in two fun character options at the Grand Floridian’s 1900 Park Fare, taking place mornings and evenings. This peaceful hideaway at Disney’s Magic Kingdom makes for the perfect detour from the hustle and bustle and allows families to enjoy a more serene sense of adventure. Drawing on inspiration from Mark Twain’s classic stories about Tom Sawyer and Huckleberry Finn, this little getaway attraction is a great place for self-paced exploration, relaxation, and even picnicking together. The adventure begins when you gather onto a log raft, on which you will be ferried over to this most pristine private spot. From there your family may choose the route of exploration and in which order to see the different sights all around. From Injun Joe’s Cave to Fort Langhorn, Harper’s Mill to Potter’s Mill, exploring Tom Sawyer Island together as grandparent and grandchild provides the perfect balance of quaint and tranquil with adventure and exploration. There’s even the Tom Sawyer Scavage Fort play area, designed for children under 12. And when you’re done, just catch another raft back to the mainland, but stay as long as you’d like. One of the greatest things about visiting Disney Parks is that you don’t feel limited in what to pursue, even if you’re not the ultimate thrill-seeker. And, quite frankly, in many cases older visitors and younger ones alike do not exactly fall into the “thrill-seeker” category. Yet Disney has so many rides that can be mutually enjoyed by visitors of all ages, so you never feel like your missing out. The aforementioned Tom Sawyer Island is just one of many examples of the low-key alternative attractions to take to while out and about Walt Disney World Resort. Other favorites to be found at Magic Kingdom Park include “it’s a small world,” Peter Pan’s Flight, The Many Adventures of Winnie the Pooh, Haunted Mansion, Pirates of the Caribbean, Barnstormer, Dumbo the Flying Elephant, the Magic Carpets of Aladdin, Jungle Cruise, Tomorrowland Transit Authority PeopleMover, Astro Orbiter, Under the Sea ~ Journey of the Little Mermaid, Mad Tea Party, the Prince Charming Regal Carrousel, the Tomorrowland Speedway, and of course the Walt Disney World Railroad. In Epcot there are such rides as Spaceship Earth, Journey Into Imagination With Figment, the Seas with Nemo & Friends, Living with the Land, Mission: SPACE (Green Team), the Gran Fiesta Tour Starring The Three Caballeros, and Frozen Ever After. Hollywood Studios and Animal Kingdom also have their fair share of rides and attractions that can be enjoyed across the board at any age or thrill level. The chance to take a wildlife safari through the lush African savanna is surely the experience of a lifetime. It’s one that can be had right onsite at Disney’s own Animal Kingdom Park, making for a most memorable opportunity for grandparents and grandchildren to enjoy together. Guests board a large open safari jeep that seats up to 36 people and then take a route covering 110 acres through diverse landscapes and habitats, all housing an abundance of diverse animal species. 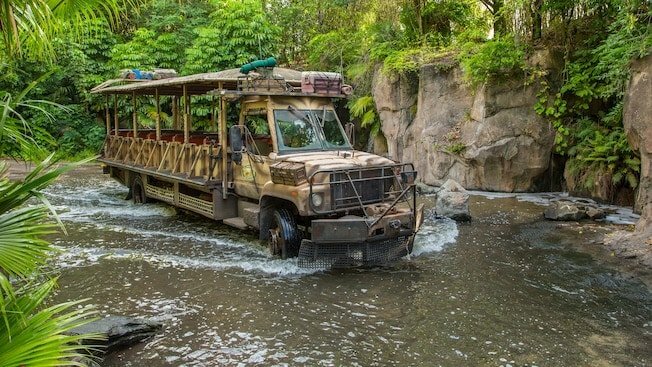 From elephants to giraffes, lions to cheetahs, hippos to rhinos, ostriches to flamingos, and so many others, experiencing Kilimanjaro Safaris together is definitely a golden family moment and memory. 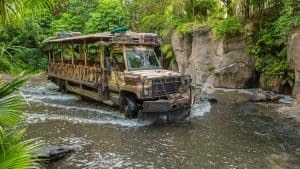 And in addition to Animal Kingdom’s Kilimanjaro Safaris, you may also take in a dinner and safari combo experience at Disney’s Animal Kingdom Lodge. The Wanyama Safari and Dinner package combines a fine dining signature meal at the resort’s renowned Jiko—The Cooking Place with a safari over the savanna grounds that are also home to more than 30 species of African wildlife. Another great suggestion for families looking for an off-the-path alternative adventure is to consider moseying on down to Disney World’s own resident ranch—the Tri-Circle-D. Located at Disney’s Fort Wilderness Resort & Campgrounds, the barn is open daily from 10 a.m. to dusk for the enjoyment of all visitors. It’s an opportunity to explore and learn about all the horses that reside here, including Clydesdales, Belgians, Arabians, Paints, Percherons, Appaloosas, Shetland ponies, and quarter horses. Many of these horses hold active jobs at Magic Kingdom Park, including marching along in parades and at special events, or pulling trolleys down Main Street, U.S.A. Tour around the ranch at your own pace and even observe the 1907 Dragon Calliope purchased by Walt Disney on opening day at Disneyland, which was later featured in the 1960 classic Toby Tyler. Other highlights on the grounds include horseback riding opportunities via exciting trails, pony rides for smaller visitors, romantic carriage rides, or larger wagon rides that can accommodate up to 35 guests at a time. In Epcot you can experience a grand world tour all in the course of a couple hours by heading to the World Showcase. Here 11 different nations are represented in their own distinct pavilions, laden with unique shops boasting authentic merchandise, delicious traditional food options, and even select attractions at some pavilions. What’s more, you don’t even need a passport! So the venture from Mexico to Canada, all in a day’s walk, has never been so easy. And stops along the way in Italy, Germany, France, China, Norway, Japan, Morocco, the United Kingdom, and the United States are not only possible but are also popular quests to pursue while you’re at it. So, in short, Epcot’s World Showcase makes the experience of trekking the globe together as grandparent and grandchild a most magical undertaking. Grandparents and grandchildren can make even more magical memories with a whole host of alternate experiences awaiting them at Disney Springs. This shopping corridor and venue by Disney is laden with plenty of dining and shopping locations as well as activities and hands-on experiences. Two such examples of interactive in-store and even in-restaurant ventures include those at The LEGO Store and T-Rex Café. Other attractions to take note of include bowling Splitsville Luxury Lanes, taking in a movie at AMC, sightseeing with Vintage Amphicar & Italian Water Taxi Tours, riding along the Marketplace Train Express, and so much more. Don’t forget about the many different live entertainment venues, including family-friendly evening happenings at various venues all around Disney Springs. There’s literally something for everyone here, making it the perfect all-age pleaser and companion venue to your family’s overall Disney World vacation experience. Disney attractions aren’t limited to just the park rides alone. Watching one of the many different shows and performances can be a memorable moment to share together. For starters, there is a diverse collaboration of live stage acts that retell some of Disney’s own beloved classics. For example, Voyage of The Little Mermaid and Beauty and the Beast-Live on Stage in Hollywood Studios. There’s also the First Time In Forever: A Frozen Sing-Along Celebration, the Indiana Jones Epic Stunt Spectacular!, and other great considerations awaiting you at this park as well. And don’t forget about outstanding puppetry at work with Finding Nemo-The Musical and stunning song, dance, and acrobatics with Festival of the Lion King, both located in Animal Kingdom. The loveable Muppets have two treats in store—Muppet*Vision 3D at Hollywood Studios and the Muppets Present…Great Moments in American History at Magic Kingdom. Other fun experiences that take to a more 3D approach include It’s Tough to be a Bug! at Animal Kingdom and the ever-popular Mickey’s PhilHarmagic within the Magic Kingdom. And while dining can always be an entertaining experience at Walt Disney World, there are a couple renowned for their live dinner shows. These include Mickey’s Backyard BBQ and the Hoop-Dee-Doo Musical Revue, both at the Campsites at Fort Wilderness as well as Disney’s Spirit of Aloha Dinner Show at the Polynesian. Special behind-the-scenes tours and extras can also make for more magic among families. However, some experiences are dependent on age of the child wishing to participate. Some may be restricted to those 8 and older, or even 10 and older respectively. Disney’s Family Magic is a popular all-ages pursuit happening at Magic Kingdom Park, as is the Ultimate Disney Classics VIP Tour. The Ultimate Nights of Adventure VIP Tour is another great suggestion for doing Animal Kingdom after dark. Other great options include Caring for Giants (also at Disney’s Animal Kingdom), Behind the Seeds at Epcot, the Star Wars Guided Tour at Hollywood Studios, and Sense of Africa at Disney’s Animal Kingdom Lodge. Other popular considerations for grandparents and older grandchildren include Disney’s Keys to the Kingdom Tour, the Walt Disney: Marceline to Magic Kingdom Tour, World Showcase: DestiNations Discovered, UnDISCOVERed Future World, and three Epcot Seas Adventures tours—Aqua Tour, Dolphins in Depth, and DiveQuest. Please note, however, that the latter does require scuba certification. Grandparents who are more nimble may also enjoy such excursions as the Wild Africa Trek at Animal Kingdom Park or the Wilderness Back Trail Adventure at Disney’s Fort Wilderness. Parades and fireworks have been a primary staple to Disney Parks all along, so it goes without saying that sharing in such enjoyments together gets the ultimate grandparent-grandchild experience seal of approval. Fireworks are free nightly occurrences that can be enjoyed from any number of vantage points within the various parks. And depending on where your resort is located, some can even be experienced onsite there are well. There are also special fireworks and dessert pairing engagements, cruises, and other extras you may experience. This will ensure you have the ideal viewing location along with a delectable treat. Some of the ultimate highlights to take in together include the Magic Kingdom’s Disney Festival of Fantasy Parade, the Move It! Shake It! Dance & Play It! Street Party, Mickey’s Royal Friendship Faire, Fantasmic! at Hollywood Studios, March of the First Order, Rivers of Light at the Animal Kingdom, IllumiNations: Reflections of Earth at Epcot, and the Happily Ever After Nighttime Spectacular at Magic Kingdom, followed by Once Upon A Time. 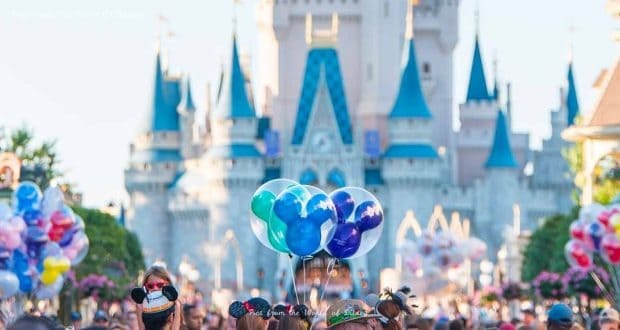 These are just some of the innumerable experiences to be had by grandparents and grandchildren vacationing at Walt Disney World Resort. Keep in mind that depending on each family’s own personal preferences, interests, ages, and activity levels some experiences may differ. Also remember that the season in which you are visiting may also impact some regular occurrences or possibly create a host of extra limited-time opportunities to pursue as well while out and about at the most magical place on Earth.